Does ‘Argo’ Suffer from a Woman Problem and Iranian Stereotypes? When I saw Argo in the theatre, I wasn’t really expecting to have a whole lot to say regarding gender in the film. In the majority of the trailer, all you see is men, men, brief glimpse of the women, and more men. Did Argo reaffirm my fears of making women silent and invisible? Based on the 1979 Tehran hostage crisis, Argo depicts the true story of CIA operative Tony Mendez rescuing 6 American diplomats out of Iran. 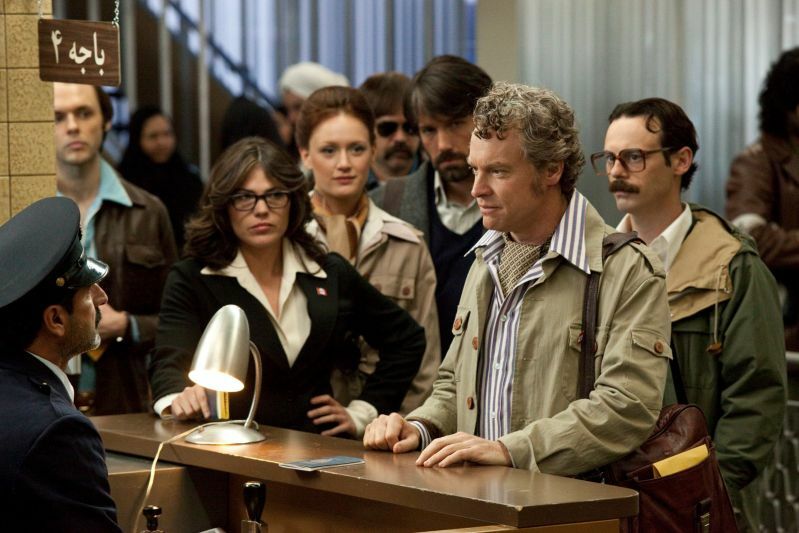 Argo is an incredibly well-crafted film. It’s taut, suspenseful and at times buoyantly humorous. But style over substance weakens the film. Character development suffers. We never discover the hostages as people. Their lives, their views don’t ever really unfold. Surprisingly, the hostages aren’t really the focus of the film. It’s Ben Affleck. Oh yeah and Alan Arkin and John Goodman, as a film director and make-up artist respectively. But we see Ben Affleck talk on the phone with his son. Ben Affleck agonize over decisions. Ben Affleck looking pensive. While I liked the movie, I felt unease throughout. Argo depicts a white, male Eurocentric perspective. There’s no place for a complex depiction of women in this paradigm. We’re never allowed into the lives or hear the perspectives or opinions of women. None of the women in Argo are given their own identity aside from how they relate to men. The 2 female hostages’ roles as diplomats were connected to their husbands. Because their husbands worked for the government, the women signed up for foreign service too. But that’s not why I have a problem with gender depictions in the film. We never see hostages Cora Dijek (Clea Duvall) and Kathy Stafford (Kerry Bishe) talk to each other, aside from a group discussion with all 6 of the hostages. The women never reminisce together, never laugh, never express worry, never talk together – unless it’s with the men. Seriously, what is it with films NOT showing women talking to each other?! I’m gonna let you in a little secret, Hollywood. We women? We talk. To each other. Shocking, I know. But what’s interesting is that when Affleck arrives to have the hostages take on fake identities in the film industry, as a Canadian production crew scouting for a film location in Iran, a stereotypical gender reversal occurs. Typically in a crisis situation, it’s the woman or women who express hesitations or reservations or worries. Not here. No here it’s a dude who does. While Kathy looks (understandably) nervous and tense, the two female hostages remain calm and collected. I initially found it refreshing to see a non-stereotypical gender portrayal in such a mainstream, critically-acclaimed blockbuster. But do they remain calm because they barely have any dialogue? Hmmm, maybe this is a gender fail after all. Beyond sexism, Eurocentrism permeates the film. At almost every turn, the Americans are placed at the forefront. That might not be such a huge problem if the hostages were actually the focus of the film.While so much was glossed over and inaccurate, I liked that Affleck at least attempted to provide a brief history of Iran. But why did every Iranian have to appear unhinged, brutal and savage breaking down the walls of the embassy? “Argo presents a country of more than 35 million in 1979 exclusively through the lens of terrorism and hostage-taking…” Argo “perpetuates the unfortunate contemporary stereotype that Iranians somehow “hate” Americans. When the hostages are driving through Tehran, surrounded by Iranians, you can feel the palpable tension, thick and constricting. Again they are seen as the frightening enemy. Iranians are lumped together as scary and barbaric. Argo wants to show the merits of peaceful negotiations, that violent actions don’t need to be taken to resolve conflicts. So why not depict both sides – both American and Iranian – with nuance and complexity? I expected more from a supposedly progressive director and a producer (George Clooney) passionate about social justice. Argo is a white film, directed by a white dude (albeit an awesome white dude), with mostly white actors, told from a white perspective. And I don’t necessarily have a problem with that. Except for the fact that Persians and Arabs face so much discrimination in this country. Yes, I love Homeland too. And I can’t wait to see Zero Dark Thirty. But do we really need yet another film or TV show perpetuating Arab and Persian stereotypes? We know how American women are depicted. So how are Iranian women depicted in Argo? A woman narrates the opening of the film, providing context of Iranian history. This same woman also speaks for the Iranians holding the American embassy hostages to transmit to news agencies. The only other Iranian woman we see is Sahar (Sheila Vand), the housekeeper to Canadian ambassador Ken Taylor (Victor Garber – aka my boyfriend Jack Bristow, yes I’m obsessed with Alias) and his wife Pat Taylor (Page Jeong). Sahar eventually helps the hostages, lying to Iranian troops to protect their cover. In his article I quoted earlier, Nico Lang doesn’t expect Affleck to create another role for women. Yet that’s precisely what he did. While I always love more female roles, sadly Affleck’s gender reversal doesn’t fix Argo’s gender (or Eurocentric) problem. Yes, Sahar – an Iranian woman – ultimately helps save the Americans. But her employers are suspicious and distrustful of her motives once they think Sahar has discovered their secret of harboring the American hostages. Again Iranians come off as the ominous “other,” to be feared or not trusted.Just like the other women in Argo, Sahar’s opinions and views are erased. Her importance truly lies in how she relates to men. Unsurprisingly, parts of Argo are fabricated and not historically accurate. After all, this is a fictionalized movie, not a documentary. But then why not make the hostages more interesting? Why not develop the female characters – show their perspectives and feelings – as people, not just mere props or sidekicks to men? Why not give women a voice? Argo shows how far we still have to go in gender equity in film. Sure, it’s a well-made movie. But that doesn’t inoculate it from sexism or racism. Awards indicate the art, culture and opinions we value. Just like so many Golden Globes and Oscar-nominated films, Argo revolves around men. Women deserve better. We’re not just satellites orbiting dudes. 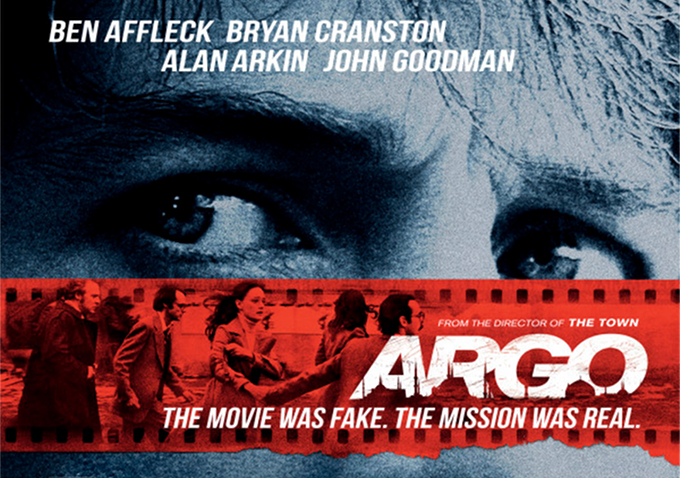 Like many Hollywood films, Argo reifies who truly matters in our society. White men. Tags: Argo, Ben Affleck, film, gender stereotypes, Iran, sexism, women. Bookmark the permalink.